Wrongful death is the term used when someone causes the death of another person. The death may be caused by the actions of someone or by their failure to act (neglect or negligence). Wrongful death is a civil action rather than a criminal action. Since the person killed (decedent) cannot file suit or collect damages, it is the family or representatives of the estate that do so. The intent is to recompense family members who have suffered monetarily and emotionally from the death. Damages can be assessed for lost wages and benefits, loss of companionship, and emotional pain and suffering caused by the trauma of this death.A defendant can only be held responsible for a wrongful death if it can be proved that the defendant’s conduct was the cause of the death. It must be proved that the death would not have occurred without the defendant’s act. The time between the defendant’s action and the death of the decedent is not a factor as long as it can be proved that the defendant’s action was the cause of death. In Mississippi if it can be shown that the decedent was partially responsible for his death, then he may be found to have comparative or contributory negligence and dependent upon the state in which the incident occurred, damages may be awarded based on the percentage of negligence imputed to the decedent. Also, if the decedent failed to seek appropriate medical care and that failure led to his death, there may be no grounds for a wrongful death claim or a reduction to an award. Different states have different methods for deciding who may file a wrongful death suit and who may recover damages. Generally in Mississippi, it must be shown that the death was caused by another’s wrongful act; that the act was such that the decedent would have been due damages from the act; and that monetary damages did arise from the act. 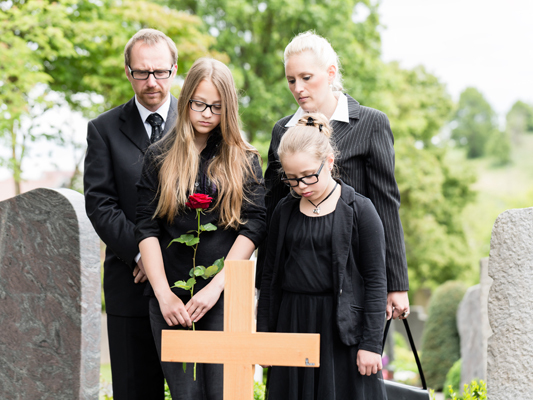 If these three criteria are met, it is possible that a wrongful death claim can be filed. The most obvious loss in a case of wrongful death is the actual expense occasioned by medical and death expenses. These are usually easy to determine for an experienced Mississippi wrongful death attorney. A final area of damages is punitive damages. This is an amount awarded to punish the person who caused the death, rather than to compensate for a specific loss. It can typically only be awarded when the action of the defendant was intentional or grossly negligent. If you or a loved one is in need of legal assistance, call the John Giddens at (601) 355-2022 or Toll Free at (888) 335-2022. The initial consultation is free of charge, and if we agree to handle your case, we will work on a contingency fee basis, which means we get paid for our services only if there is a monetary recovery of funds. In many cases, a lawsuit must be filed before an applicable expiration date, known as a statute of limitations. Please call right away to ensure that you do not waive your right to possible compensation. Unlike many law firms, John D. Giddens Law Firm limit their legal representation to only a few serious personal injury cases and death claims per year. This is enables their legal experts to focus the most time and resources on each case in order to yield the best possible results for their clients. Time is often not on your side, it is imperative you take immediate action as soon as possible, so please call us today for a free legal consultation and case analysis toll-free @ 1-888-335-2022 .